Looking for a new adventure in 2019? Want to gain invaluable experience to add to your CV? Fancy being part of an exciting and expanding company where every day brings something new? 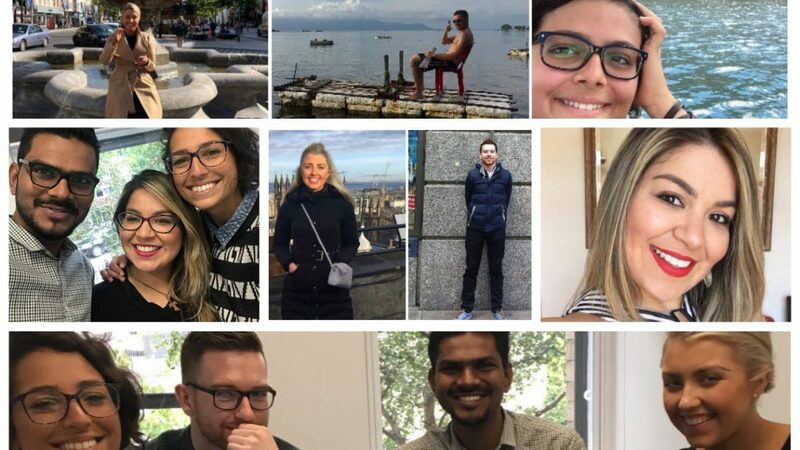 As you may have seen from our Confessions of a #SmartWorking Intern series, we’ve had some fab interns and writers over the last six months for whom we’re so grateful and lucky to have worked with. They’ve played a huge part in shaping Abodoo’s messaging and we’ve had a lot of fun and learning along the way! As 2019 fast approaches, we have a number of exciting internship positions available and are looking for driven and passionate individuals to join the Abodoo team. You’re a natural storyteller with a passion for writing and a flair for creating great content to engage with audiences and keep them coming back for more. You are detailed focused and only believe in producing the best. If you provide the words, we’ll provide the platform for you to share them globally. You understand the power of social to drive readers, shares and engagement. You’re creative and have a way with words that people just can’t ignore. Oh and if you’re already familiar with Facebook, Instagram, LinkedIn and/ or Twitter.. you’re half way there! The power of visual goes beyond words.. creating graphics, infographics, videos and stories catches people’s attention in a completely different way that enables them to identify with and relate to data, trends, brands and imagery. Visuals provoke emotions, emotions create associations and associations drive belonging and loyalty.. it all starts with imagination! You understand the value of bringing content, design and social together into powerful campaigns with clear objectives, driving success and converting it into growth. If you don’t love numbers yet, you will very quickly, as every action and campaign drives metrics to show success.. and if we can get them them to go viral well.. just imagine! In 2019, we’ll be expanding internationally and are looking for talented, highly motivated, results-driven individuals to drive the voice and brand of Abodoo to both job-seekers (B2C) and businesses (B2B). We’re passionate about the new world of work and enabling people to have the freedom and agility to work from where they want, gain personal time, while achieving their dreams. It’s called SmartWorking! Flexibility to work remotely or from cool co-working offices – unlimited free coffee and snacks! We focus on output, so we work around your time and are flexible with times and days. We’re an experienced team, at a very exciting stage of our business so you’ll gain unbeatable experience working directly with leaders across the company, with the opportunity a to be part of and help shape a new and exciting brand from scratch. References and strong recommendations will be provided – we’ve helped most of our interns secure jobs after! And, if the person turns out to be someone we don’t want to be without (sales dependent! ), the internship may be further extended with the potential to be made into a full-time paid position. We’re a young startup with ambitious plans to rapidly expand globally. Our team is small but experienced and passionate. We intend to grow fast and would love for like-minded people be be part of the journey.